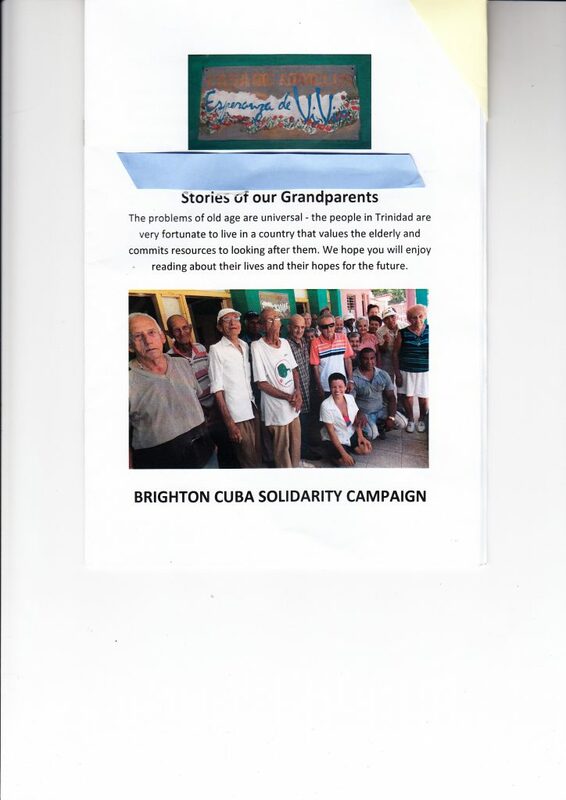 This is just to let you know that we have now produced a booklet of the interviews we made with the elderly people at the Casa de Abuelos in the town of Trinidad, Cuba, when we visited them in July. People who came to our last meeting have already seen it and bought copies. 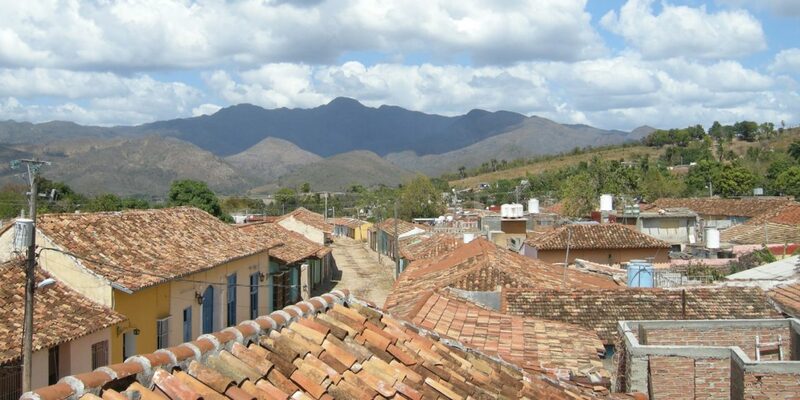 We interviewed 10 people about their lives, and very fascinating they are and give a totally original insight into the lives of ordinary Cubans before and after the Revolution. The booklet is 16 pages with an introduction about the work of the Casa, and good quality full colour photos and it will be on sale for £2 copy at our next meetings. The authors are Ann and Kate Hallam. The price is just £2.00 or a solidarity donation.